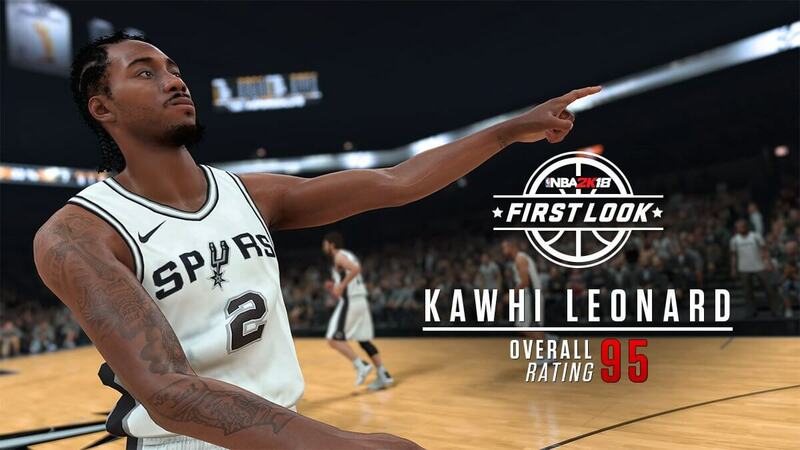 NBA 2k18 First Look screenshot featuring Kawhi Leonard of San Antonio Spurs. He is one of the highest rated players in NBA 2k18, with a rating of 95! But his face scan is still not up to the point. Maybe Kawhi didn't want to get scanned.